Cis 3 hexenol is also known as (Z)-3-hexen-1-ol and leaf alcohol is a colorless oily liquid. It has intense grassy green odor of grass and leaves which is cut fresh. Most of the plants produce this is small amounts and it acts as an attractant to many predatory insects. It is an important aroma compound used in fruit and vegetable flavors and in also in perfumes. 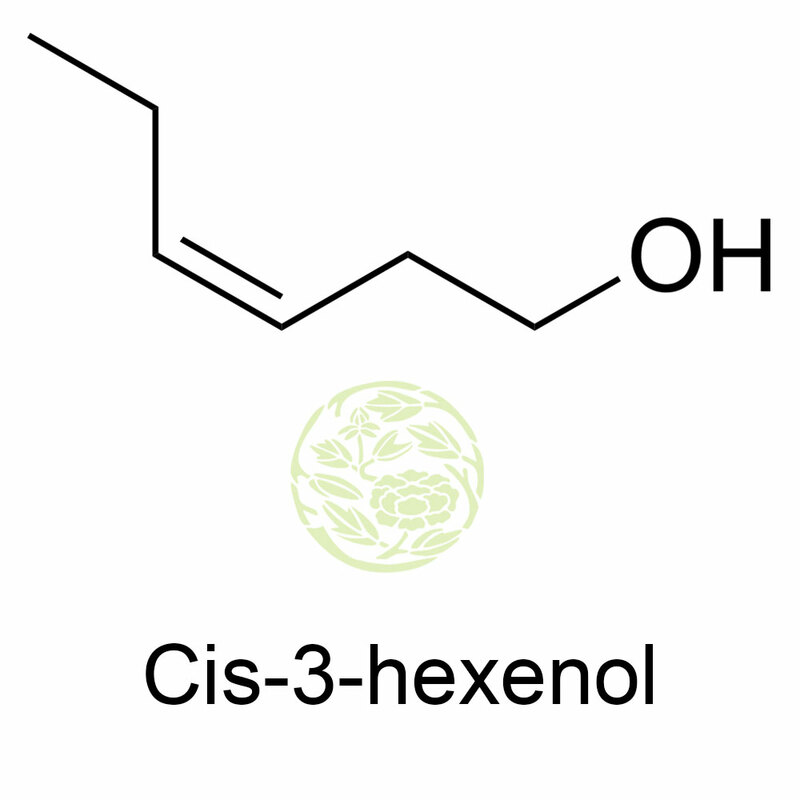 Cis 3 hexenol is an alcohol and its esters are used for the fragrance and flavor for many products. Aldehyde cis 3 hexenal (leaf aldhyde) has a similar and stronger smell but comparatively it is unstable and isomerizes into the conjugated trans-2-hexenal. The alcohol is often used in fruity flavors and green tea flavors. It gives a fresh green effect in the top note compound. It is a colorless liquid but sometimes pale yellow in color. Its presence is found in many flowers, fruits and vegetables like carnation, gardenia, honeysuckle, hyacinth, osmanthus, apple, cherry, apricot, grape, kiwi, lemon, mint, melon, plum, orange, corn, strawberry, pumpkin, tea and tomato. It is used as a refreshing top note of floral fragrances like Muguet and Lilac. It is also used in many flavors like mint and different fruit complexes. 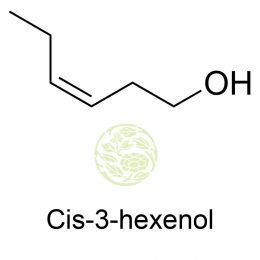 Cis 3 hexenol is a powerful, slightly caramellic fruity, fruity green often compared to that of chrysanthemum foliage or wine leaves. Traces of this are used in fruit complexes like the artificial strawberry. It is there in many flower based essential oils like lily and tulip and fruit based oils like apple and cedar. It is a positive character found in some ales and lager to provide a fresh green note to the beer. Cis 3 hexenol or Leaf alcohol is widely used to relieve swelling, itching, bleeding, minor pain and minor skin irritation like cuts, scrapes, insect bites etc. It is also used for the problems caused by hemorrhoids like itching, irritation, discomfort and burning sensation. This can be used topically as per directions from the doctor. There are no reported side effects due to the use of Cis 3 hexenol or leaf alcohol. But it is better to consult a doctor if there are any signs of serious allergic reactions like rash, itching, swelling on face, tongue or throat, dizziness and trouble in breathing.